Welcome to Covered Law Enforcement! “The Thin Blue Line” is a colloquial term for police and the unique law enforcement subculture. Symbolized by a thin blue line surrounded on top and bottom by black, the suggestion is that a thin line of police officers is all that prevents civilized society from descending into chaos. There is another force, however, separating good from evil and order from chaos. That “force” is the blood of Jesus Christ that was shed when He died on the cross to overcome death, hell, and the works of our adversary, Satan. Christians oftentimes pray to be “covered” by the blood, a prayer that recognizes the power of Jesus’ blood to cleanse us from our sins, overcome spiritual wickedness, heal disease, and provide protection from harm. So, the thin blue line of law enforcement meets the thin red line of Christ’s blood as the two come together in a unique ministry initiative called Covered. The challenges facing the law enforcement community, officers, and their families are unique to the subculture, and are seldom truly understood by “outsiders.” It has been said that an officer’s job is 95% sheer boredom and 5% sheer terror. The tragedy, disruption, and chaos that officers experience create emotional and psychological tension, which is compounded by a culture in which outward emotional expression is often unacceptable. Low pay, high stress, long hours, and media scrutiny are but a few of the other challenges facing officers and their families. 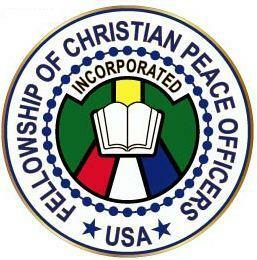 As a ministry, Covered Law Enforcement serves two purposes: to promote faith and solidarity among Christian law enforcement personnel and to create a unique way for witnessing of salvation through Jesus Christ.